Our Newsletter «Lib4RI-Update #14» is now available! Get a print copy at the library or read the online version below. 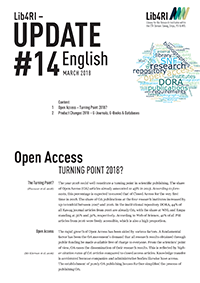 • Open Access – Turning Point 2018? • Open Access – Wendepunkt 2018?